This has not been one of those summers where I have read lots of book, and I am totally ok with that. However, I did read Annie John by Jamaica Kincaid, and I absolutely loved it. This book will be taught to my tenth grade students this school year, and I can not wait to hear and read their thoughts about coming of age and loss, because this novels covers both topics. When I read about Jamaica Kincaid, it appears that her life and the life of her character, Annie John, seem to be very similar. They both were young girls who were dealing with a changing relationship with their mothers, and they left their countries to pursue degrees in higher education around the age of seventeen. I have not read anywhere that Annie John is autobiographical, but the lives of Jamaica and Annie see to have a lot of similarities. This book is written in a fashion that is plain, yet full of lots of ideas that will make the reader think. 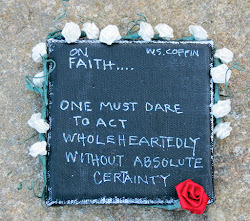 I know I thought a lot about my own coming of age, and how my students handle coming of age which is quite complex. By the way, my next read is Of Mice and Men by John Steinbeck. Ahh! I just heard about your blog from Shannon of Reading Has Purpose. I like your reviews! I've never seen this book cover of 'Annie John' before, wow! But yeah, there are a lot of ideas in this novel. I low-key think it was about Kincaid's life. Most of her books seem to have some tension filled mother-daughter relationship going on (I also sensed the tension in her book 'Lucy' as well). Thanks for stopping by The Big Sea Darkowaa. 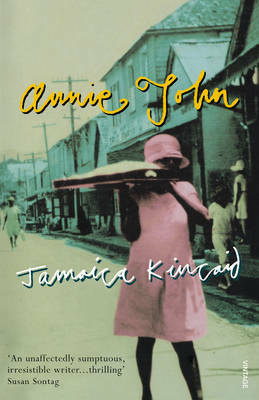 Yea, I think that I read somewhere that Annie John is loosely based on Jamaica's life. I also sensed the tension in Lucy as well....We all got stories to tell don't we? Anyway, I checked out your blog, and love it. I will be over there quite often.